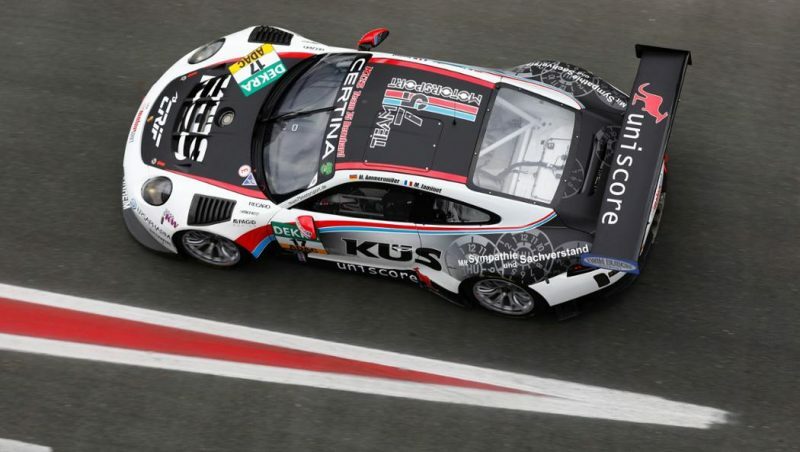 The KÜS Team75 Bernhard will tackle the pro-category of the 24-hour race in Spa-Francorchamps, Belgium, with a Porsche 911 GT3 R. Herberth Motorsport fields two 911 GT3 R at the event from July 27 to 30 driven by professional and amateur drivers. The squad of the two-time Le Mans winner and team owner Timo Bernhard can rely on the Porsche works drivers Michael Christensen (Denmark), Kévin Estre (France) and Laurens Vanthoor (Belgium). Vanthoor has a wealth of racing experience at his home circuit and won the endurance classic in 2014. One of Herbert Motorsport’s contenders will be manned by Porsche works driver Sven Müller (Germany), Porsche Young Professional Mathieu Jaminet (France) and the amateur pilots Daniel Allemann (Switzerland) and Ralf Bohn (Germany). An all-German driver lineup of Alfred and Robert Renauer, Jürgen Häring and Marc Lieb share driving duties in the sister car. Lieb is the reigning champion of the World Endurance Championship for Drivers, outright winner of the 2016 Le Mans 24-hour race and he climbed to the top of the podium at Spa in 2003. The 7.004-kilometre circuit of Spa-Francorchamps is known for its high centrifugal forces and legendary passages such as Eau Rouge and Blanchimont. Nestled in the hilly, forested Ardennes region of Belgium, the racetrack often experiences unusual weather conditions with frequent rain. Porsche last won this race in 2010: Victory back then was thanks to Jörg Bergmeister, Wolf Henzler, Romain Dumas and Martin Ragginger in a Porsche 911 GT3 RSR. The “Total 24 Hours of Spa” runs as part of the Blancpain Endurance Series. The presentation of the race cars on Wednesday in a motorcade from the racetrack to the town of Spa has become legendary. Inaugurated in 1924, the 24 Hours of Spa has a long tradition. The race takes off on Saturday at 16.30 hours.